This paper aims to improve understanding of the long-run impacts of the gross domestic product (GDP), real exchange rate, and the producer price index (PPI) on U.S.-Canada bilateral freight flows in a dynamic framework. Special attention is given to cross-border exports and imports by truck, rail, pipeline, and air. Using the fully modified ordinary least squares (FM-OLS) approach, the paper finds that the GDP of the importing country is a pronounced factor influencing U.S.- Canada cross-border trade, suggesting that economic growth of the country is a powerful driver in the relative intensity of bilateral freight flows. The real exchange rate tends to be positively associated with U.S. imports, but negatively associated with U.S. exports, indicating that the U.S. dollar depreciation against the Canadian dollar increases demand for U.S. commodities in Canada, but weakens demand for Canadian commodities in the United States. The long-run effects of the selected economic variables on cross-border exports and imports are found to vary by mode of transportation. The Canadian GDP has a positive and significant effect on U.S. freight exports by all transportation modes, but U.S. exports by pipeline are more sensitive to a change in Canadian GDP than U.S. exports by truck and rail. 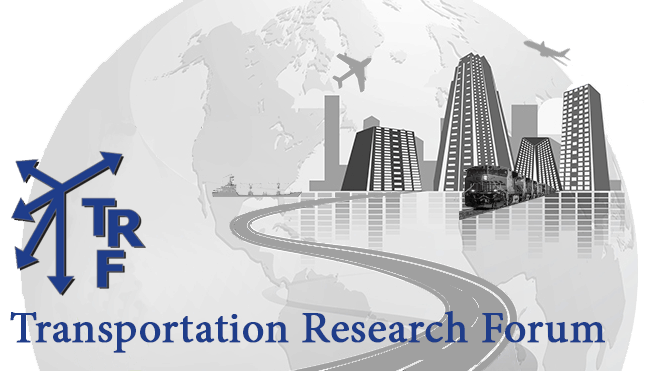 The findings in this paper provide important policy and managerial implications for cross-border transportation planning in the United States and Canada.